After reading through my complaints regarding the shrinking scale of the Star Wars film universe, a colleague of mine asked me to preview a novel that he was writing. He also grew up as a Trekker, and he sorely misses the optimistic science fiction that Star Trek represents, as well as the attention to technical and scientific accuracy that is sadly lacking in much of today's science fiction. Popular "science fiction" of today frequently focuses on special effect spectacle to the exclusion of cerebral or thoughtful stories and concepts, but there are still plenty of indie writers and film makers who try to offer more substance over pomp. 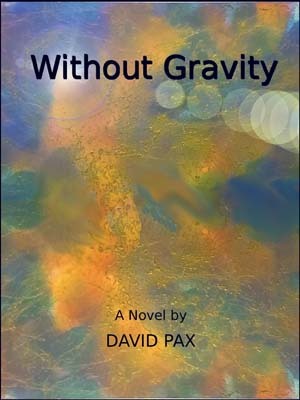 In his debut novel, Without Gravity, author David Pax explores an optimistic distant future in which humanity has spread across the stars, living in harmony with our technology and the worlds that we inhabit. It's not a vision of the future without conflict, however. Planet-bound humans are drawn into periodic conflict with a divergent culture of human "Spacers" who spend their entire lives within the confines of their zero-gravity space ships, making them virtually aliens to the rest of humanity. When the Spacers launch a surprise attack on the mineral-rich frontier world of Tirimba, the citizens must take shelter within the cavernous mines and prevent the Spacers from acquiring the valuable resources that would allow them to build new ships and threaten the heart of human civilization. The Spacers aren't the only threat, as the citizens of Tirimba must also deal with one colleague who's selfish greed puts the entire war effort at risk. Pax's vision of the future may be exotic, but it's also very grounded. The conflict is one of resources and logistics, as Pax pays diligent respect to the vast scale and distances of intergalactic conflict, and puts strict limits on the capabilities of the warships and technologies. Tirimba is remote, and is only a small piece of a larger conflict that happens mostly beyond the awareness and comprehension of the civilian refugees who remain stranded on the planet. This remoteness creates drama and maintains mystery and intrigue regarding the conflict. The story, after all, focuses on the civilians, and the personal cost that they pay, rather than on the military. The novel itself is fairly short and a relatively light and easy read. Despite his engineering background and attempts to describe and develop the technologies and society that he has imagined, Pax doesn't drag the novel's pace down with unnecessary techno-babble. You don't need an engineering degree to follow along or understand. Pax also writes short stories and maintains a blog. He's a friend and colleague of mine, and we share many common interests and perspectives. If you enjoy reading my ramblings, then I invite you to visit his site as well, and to support him and other indie authors who are trying to keep the spirit of science fiction alive. If you do decide to purchase Without Gravity, use the promo code MEGABEARSFAN at checkout to receive a discount.